And the best part is that they smell so nice. They are actually called Putka Pods and can be bought scented in several different yummy fragrances. 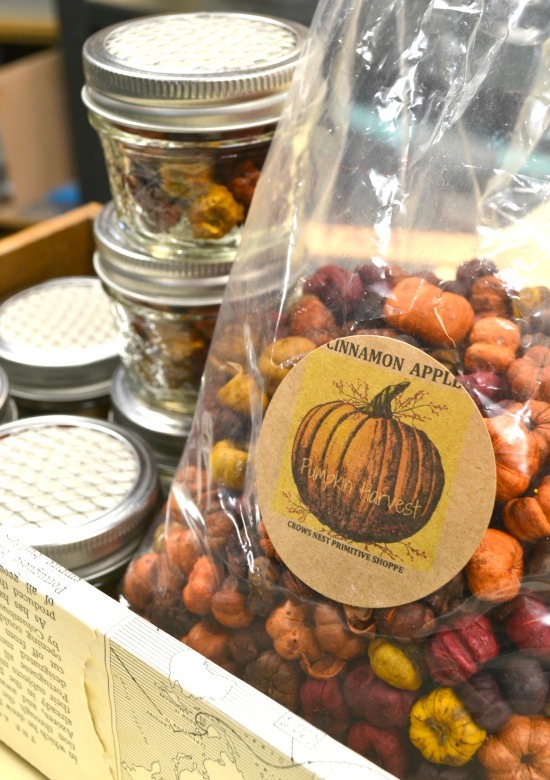 These are cinnamon apple and mine came from an Etsy shop called Crow's Nest Primitive. You can also purchase bags of this from my affiliate links below at no additional cost to you. I like to be prepared with small items that are fairly inexpensive when I do a craft fair so there will be something for everyone. 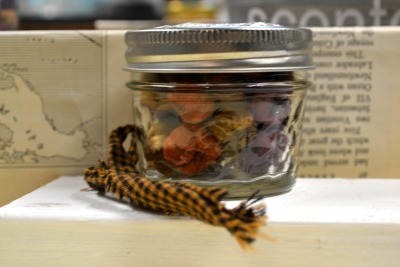 Since the next craft fair will be in the fall I'm preparing mini Mason jars filled with mini pumpkin potpourri. 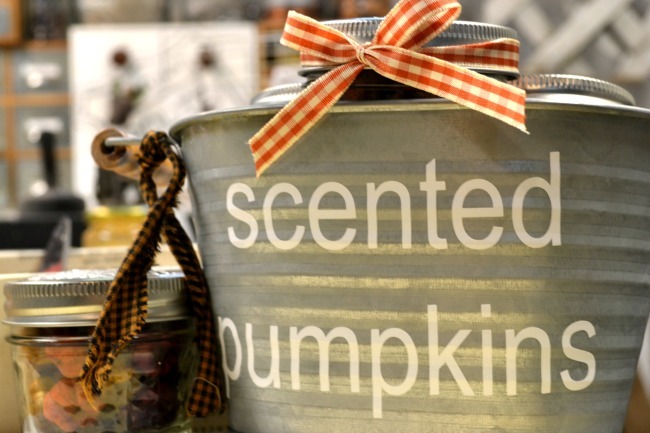 I'm using the small sized Ball jars that hold just enough scented mini pumpkins to look adorable and leave a lasting scent. I made tops for the jars that will let the cinnamon apple fragrance fill the room. I used wire gutter covering to cut a circle the size of the mason jar lid. The gutter cover is inexpensive, cuts with scissors and is perfect for this project. Tie on a beautiful ribbon and it's finished! 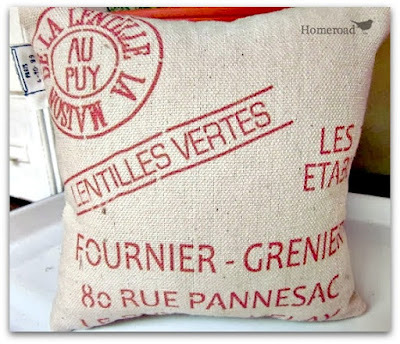 These make great hostess gifts. 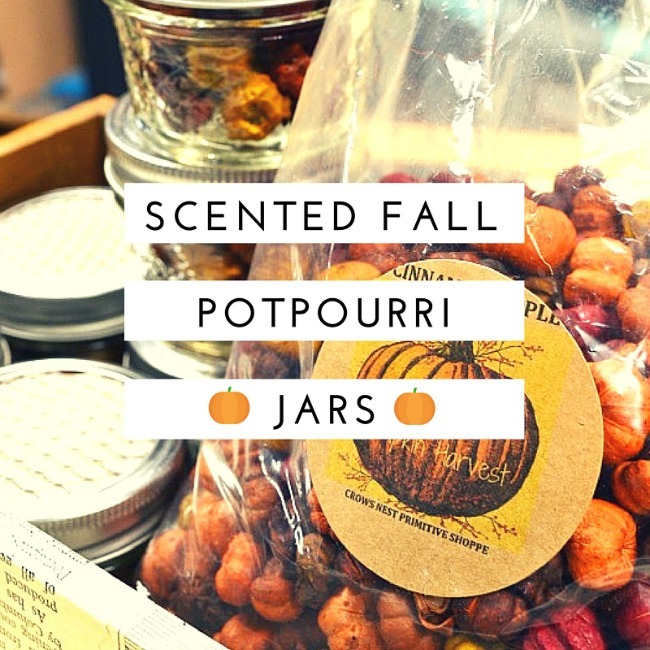 These cute little scented potpourri jars are great for the fall craft fairs. 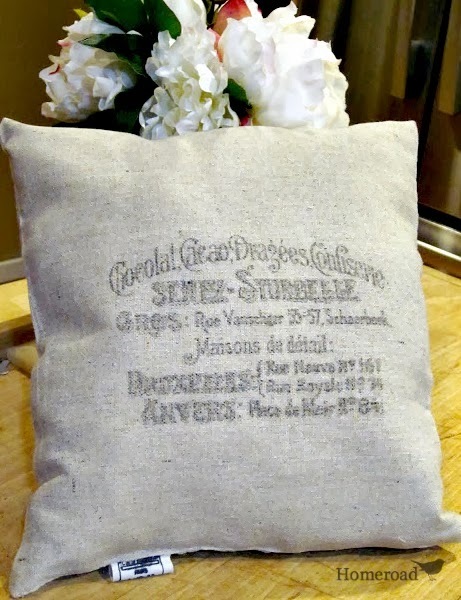 Hi Susan, I love this idea for gifts for my coworkers! Would you please explain the lid? The link isn't working. Thanks for sharing! Patti I'm so sorry the link isn't working... I put the directions right in the post where the link was supposed to be. Thanks for the instructions, Susan! 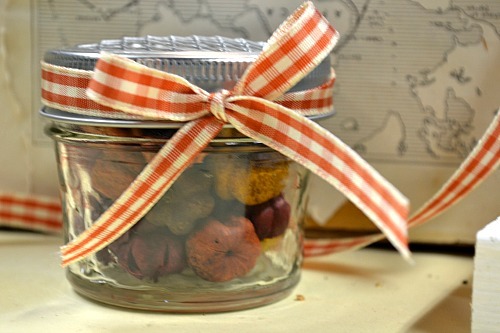 My potpourri should be here today or tomorrow and I'm looking forward to making these! Thanks again. I am so glad Patti! You will love the smell!!! I've bought these every year and love them! These are so cute! I'm such a candle and oil freak, I know I would love the smell!! I love beautiful aromas in my home!! Soooo sorry the link isn't working... I put the directions right in the post where the link was supposed to be. Too cute, but I can't get your lid for the jars link to work. 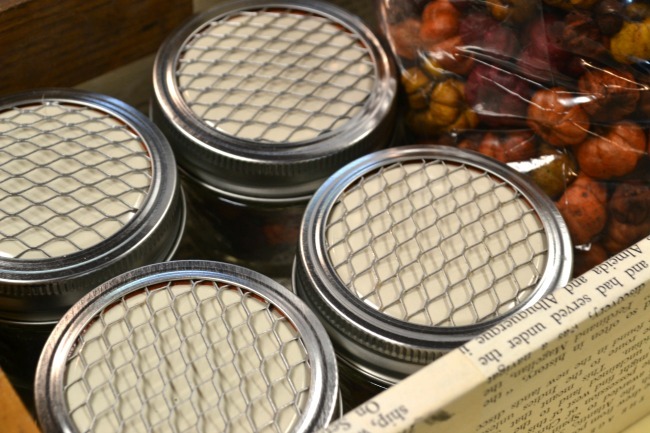 Can you please tell us how you made the lids? wanted to learn about the lids you made for potpourri but link wouldn't work . Is there fabric or paper under the wire? Do they sell a Christmas potpourri? Hi There is only the original lid from the mason jar under the wire. Pretty paper would work too but the lids work well for shipping.